A Builder/Contractor that was building a house for a client/homeowner, used architectural plans that were drafted by an architect under contract with the homeowner, was permitted to sue the architect (with whom it had no independent contract) for breach of implied warranty of the plans and specifications to design the house, aligned in a manner to maximize a hilltop view of the city. After construction began, it was discovered that the house was aligned to view a water tank instead of the city, and the contractor tore it down and started over – and sued the architect for the tear down and reconstruction costs, alleging it relied on the architectural plans and specifications and that case law in Arizona recognizes that design professionals warrant that they have exercised their skills with care and diligence and in a reasonable, non-negligent manner. In North Peak Construction, LLC v. Architecture Plus, Ltd., 254 P.3d 404 (AZ, 2011), the appellate court agreed that the contractor could pursue an implied warranty claim against the architect. The case precedent the court relied upon for its holding is an Arizona Supreme Court decision – Donnelly Construction Co. v. Oberg/Hunt/Gilleand, 677 P.2d 1292 (AZ, 2007) in which the court held that a contractor need not be in privity of contract with an architect to sue for negligence and breach of implied warranty. The court in that case stated that a design provides an implied warranty “that they have exercised their skills with care and diligence and in a reasonable, non-negligent manner.” In the current mater, the architect acknowledged that a contractor possesses a claim for breach of implied warranty, but argued that absent a contractual obligation, the professional’s duties are “implied-in-law” or pure legal duties, the breach of which would give rise to claims for negligence. The breach of implied warranty claim would thus be identical to the negligence claim, and that the statute of limitations period applicable to negligence claims must be applied to bar both the negligence claim and the breach of warranty claim. The court stated that it concluded “it very likely” that the implied warranty at issue in this case “sounds in contract” (not necessarily meaning that it “arises out of contract”), but later in the decision said “We decline to decide which statute of limitations is applied to North Peak’s breach of implied warranty claim.” The contractor was also permitted by the court to maintain an action against the individual architect and his wife. The Architect argued that he only signed the contract with the homeowner in his capacity as president of the architectural firm and should therefore not be deemed individually liable. This argument was rejected by the court because the “implied warranty is not based on [homeowner’s contract] with Architecture Plus, Ltd. Rather, the implied warranty is based on (1) North Peak’s alleged reliance on the architectural plans and specifications, (2) Donnelly’s recognition that ‘design professionals’ warrant ‘that they have exercised their skills with care and diligence and in a reasonable non-negligent manner,’ and (3) the alleged signing and sealing by [the individual architect] of the plans and specification.” For these reasons, the court reversed the trial court’s dismissal of the breach of warranty claim, and remanded the case for further proceedings. Comment: In most states, the design professional is not deemed to grant any implied warranties of the plans and specifications. Suits can typically only be brought against the design professional for defective specifications by the party with whom the design professional contracted. The economic loss doctrine, for example, generally prevents actions against design professionals for negligence that claim economic losses. Unless there is an independent duty owed by the design firm to a third party, and the design firms’ failure to meet its standard of care in performing that duty caused bodily injury or property damage, there is no viable cause of action. The only implied warranty of specifications that is created in the more typical state and case is the implied warranty of the specifications by the project owner to the contractor who is entitled to rely on the specifications. 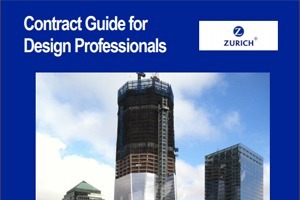 In that situation, the contractor must make a claim against the project owner and is entitled to recover its extra costs incurred in performing its work under defective specifications – without regard to whether the plans and specifications, although defective, met the standard of care and were, therefore, not negligently drafted by the design firm. Where a project owner pays the contractor a change order for its extra costs, the owner can only recover from the design firm for those costs if it can prove the designer performed its services negligently. This is the typical gap between (1) what is owed the contractor by the owner pursuant to the owner’s “implied warranty of specifications” and (2) what the owner can recover from the design professional (since recovery is limited to negligence).